“Regarding the fundamental question – ‘can a homosexual person change?’ – there is a domain which you be sure of: prayer,” said Lovey. “The proof is that there is real suffering of a person who lives in this way. But this does not diminish the humanity or dignity of a homosexual person,” he said. Lovey made the remarks just weeks ahead of Pride Valais, which takes place June 13 in Sion. 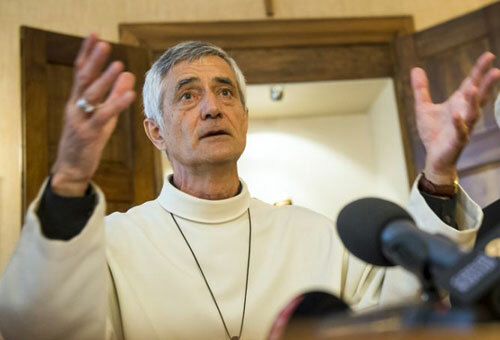 Swiss LGBTI campaigners sharply condemned the Bishop.